We use cotton blend with a special weave to made this holds its shape. 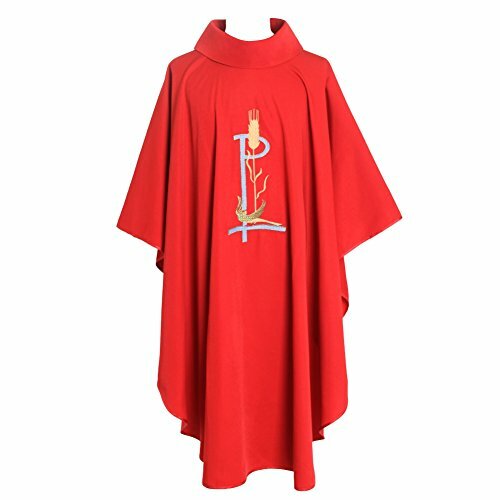 This Chasuble cover the seasons Christmas, Pentecost, Epiphany, Lent,Advent, Confirmation, and Ordinary Time. The Widest part: about 144cm/56"
As the shooting light,angle and color displays, physical and photos maybe some differences! Pls kind prevail!